Who doesn't love the feeling of taking a hot bath and melting all of the day's stress away? Some readers (especially working women or new mothers) might say there is simply no time in the day to take more than a 10-minute bath. For all of you busy ladies out there, this might be because you have never tried using a bath product before. The best bath products are something you can drop into the water (or slather onto yourself) to turn your simple bath into a heavenly spa-like experience. 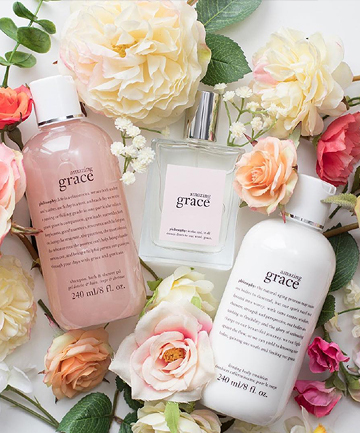 Bath junkies know what we're talking about -- their bath collection is filled with everything from relaxing bubble bath to detoxifying salt crystals to creamy body oil, and they're all deliciously addicting. TotalBeauty.com readers are no strangers to the lure of a sensuous soak. They've left thousands of ratings for the best bath products on our site, raving over the most luxurious of bath bombs and the frothiest of bath bubbles, as well as calling out those sub-par soaks. If you're one of the women who just can't seem to find the time to take a bath, let one of these bath products change your mind. Good selections, but where is Neutrogena's "Rainbath"? It is a wonderful, heady experience which renews your body and soul! Wish I could get Victoria's Secret for those prices over here! I really want to try some LUSH products! A good bath with a good product can make a big difference in the way you feel! Avon has a line called Skin So Soft which is fantastic. I'm 24, and I remember my mom using it when I was younger. Wish I wasn't broke or i'd order some, I LOVE it. The smell instantly relaxes me.